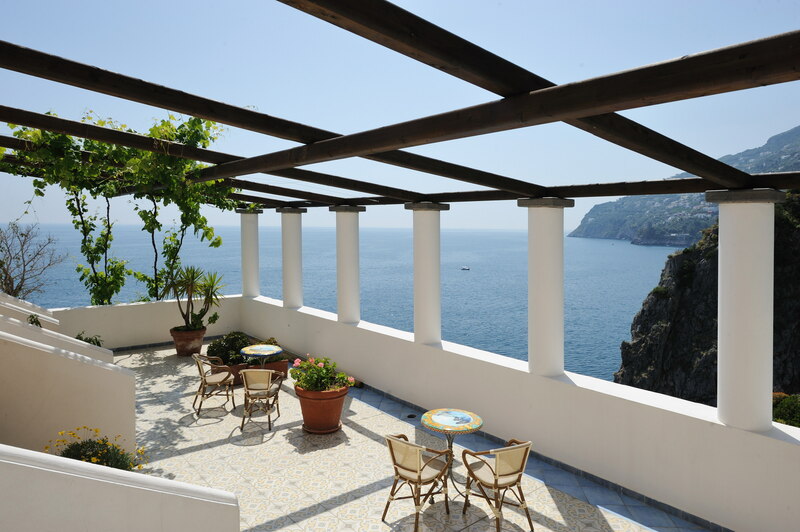 Do you are looking for the best boutique hotel on the Amalfi Coast? Book an enchanting holiday in the beautiful Furore! 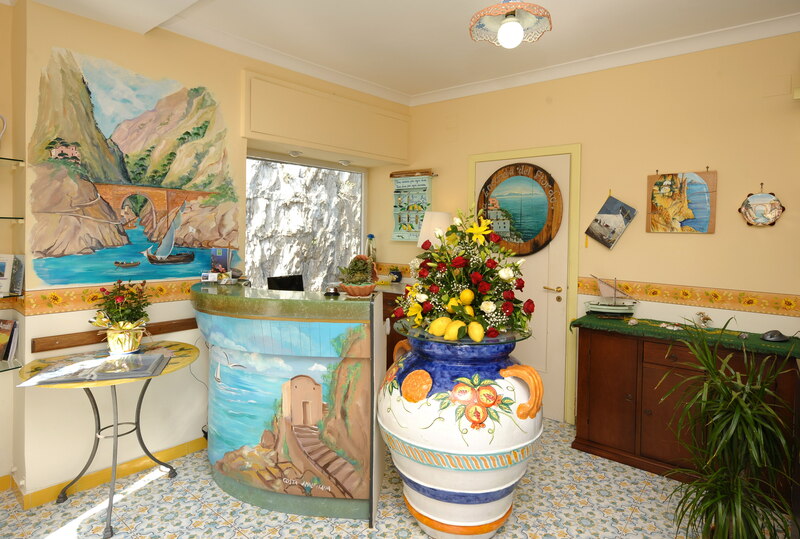 Welcome in the best luxury hotel on the Amalfi Coast, “La Locanda del Fiordo”, situated in Furore, Italy. 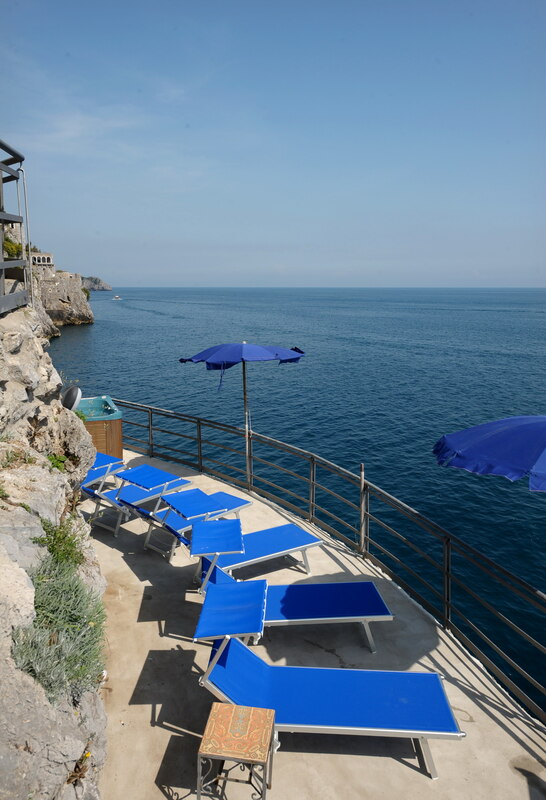 Surrounded by the breath of the sea and a magnificent panorama, you could spend a lovely stay in the best luxury and romantic hotel accommodation, tasting the delicious cuisine of the best restaurant on Amalfi Coast, in a unique paradisiac venue in the world. 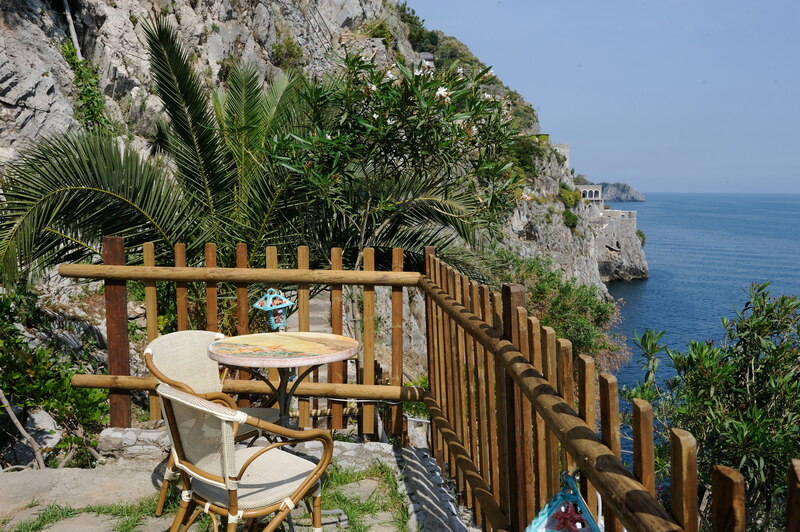 The charming Locanda del Fiordo is located next to the beach of Furore, at the wonderful inlet of Fjord crossed over the centuries by Schiato’s stream, magical place in which it dominates the lush untouched Mediterranean nature. You can spend pleasant moments surrounded by a natural landscape of timeless beauty. Visit our site to know the latest updates and our hotel special offers! Hotel La Locanda del Fiordo offers Risto Bar with free private parking, in a unique location in the world, overlooking the deep blue sea of the Amalfi Coast, surrounded by intense scents of lemon and olive trees growing on the terraces sloping down to the sea, warm colors of bougainvillea and refreshing sea breeze. Set in one of the best hotels venue of the Amalfi Coast, within walking distance of an ancient fishing village, La Locanda del Fiordo, with the best restaurant of Amalfi Coast, fulfill your every need for a relaxing stay, a romantic weekend, a breakfast on the sea: enjoy a delicious lunch made with the authentic flavors of Mediterranean cuisine, wonderful dinners at sunset and dreamy evenings in the moonlight. 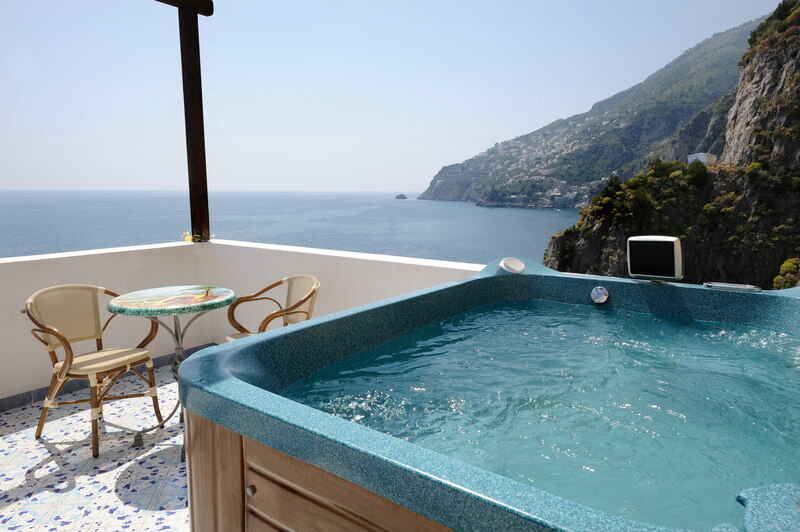 Our luxury hotel room overlooking the sea is ideal for your vacations or weekend getaways on the Amalfi Coast. Located halfway between Amalfi and Positano, La Locanda del Fiordo, with private parking and free Wi-Fi, is the best stopping hotel for wonderful excursions to other towns of the Amalfi Coast and Sorrento peninsula, footpaths CAI, trips to the islands of Capri and Ischia, tours to the archaeological areas of Pompeii, Herculaneum and Vesuvius. • the long beaches of Maiori. The stay at La Locanda del Fiordo hotel will be best with a magic boat tour to the island of Capri, easy reachable from the Amalfi Coast. Capri is one of the best pearls on the beautiful Mediterranean sea. Capri is an enchanting oasis loved by visitors from all over the world, famous for exclusive hotels and shopping, from the most prestigious names in haute couture, to perfumes, ceramics and handicrafts. You’ll visit the magic Blue Grotto, the beautiful center of Capri and Anacapri. During the boat trip you’ll admire the Island of Li Galli, known from the ancient Greek as the Sirens ‘Island. It’s formed by three little islands. On one of this there is the wonderful villa of Nureyev, a famous dancer. The Islands have the singular form of a dolphin. Sometimes the dolphins swim in this area. La Locanda del Fiordo provides, on request, a private boat service to the island of Capri. 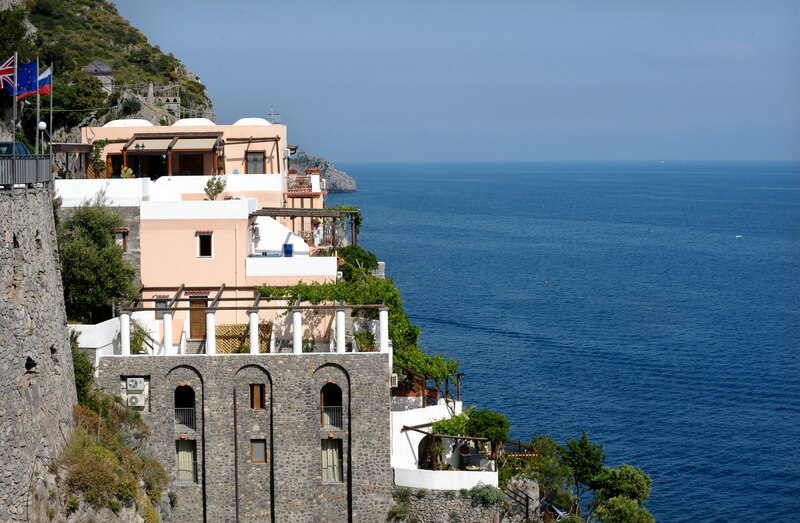 For who wish, the bus stop adjacent to the Locanda del Fiordo leads within minutes to Positano or to Amalfi. 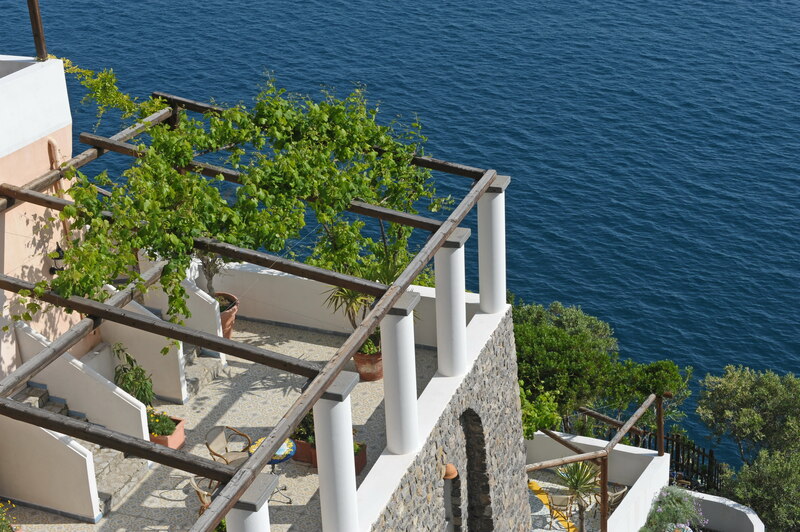 La Locanda del Fiordo hotel has private access to the sea, reachable through a characteristic staircase, in the shade of romantic pergolas of lemon trees. On the solarium with whirlpool, you can spend pleasant moments surrounded by a natural landscape of timeless beauty. The location is very quiet and relaxing. We’ll taste the magic scent of the natural Mediterranean herbs. The same flavor you could find during your walks through the ancient footpath of the Amalfi Coast: lemon, orange, rosemary, oregano, basil, parsley, thyme, marjoram, sage, rocket. Our traditional cuisine is rich of the organic garden products: tomatoes, aubergines, courgettes, potatoes. We offer delicious fruit salads with seasonal fruit. • baked or grilled fish. On request you could have products for special diet. 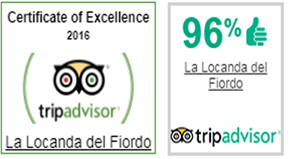 Please contact our staff for more information to make perfect your stay at La Locanda del Fiordo! Our bar is open for all your pleasant moment in the day: you’ll find a lot of fresh snack to taste during your excursions, tours, on the near beach of the Fjord and overall on our lovely terraces overlooking the sea. The panorama opens on the immensity of the sea and on the spectacular coast, with the marvelous village of white houses of Praiano. You will be enchanted by the colored notes of the sky and the sea, from sunrise to sunset. • airport shuttle, transfer to/ from train station, for a fee. Our staff is at your disposal for all your requests. Don’t miss the special offer for lovely weekends, holidays in all the period of the year. If you desire, to keep you informed and updated, subscribe our newsletter of the best offers in our hotel to inspired you last-minute vacations on the Amalfi Coast. We would be pleased to meet all your needs and, by prior arrangement, we offer several services: catering menus for special diets, breakfast room, tour desk, laundry service, airport shuttle for a fee. Copyright Pyramide.it © 2017. All rights reserved.